Yellow mellow! 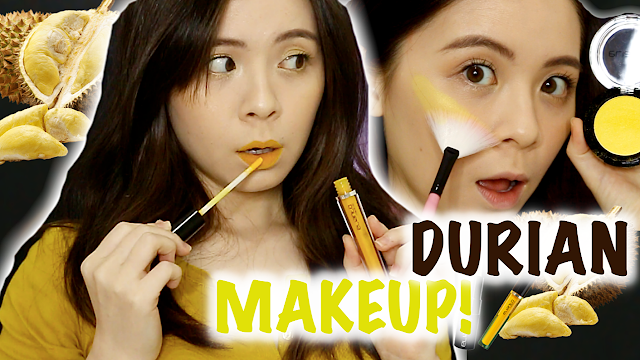 So much yellow in this blogpost and video. 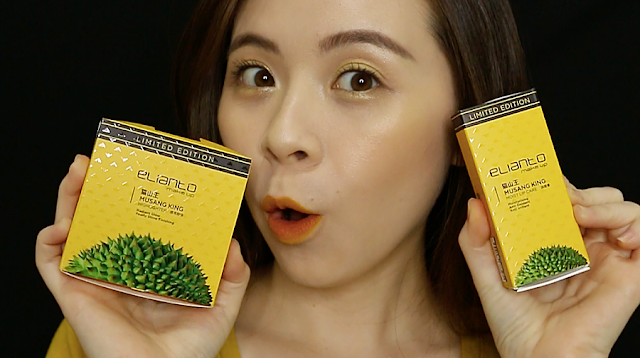 It's only appropriate cause it's the Musang King Makeup collection by Elianto that everyone was rather shocked about. I thought it was a joke too, until it arrived at my doorstep. Do watch my unboxing and first impressions video below to brighten up your day! Don't forget to like this video and subscribe to my channel! 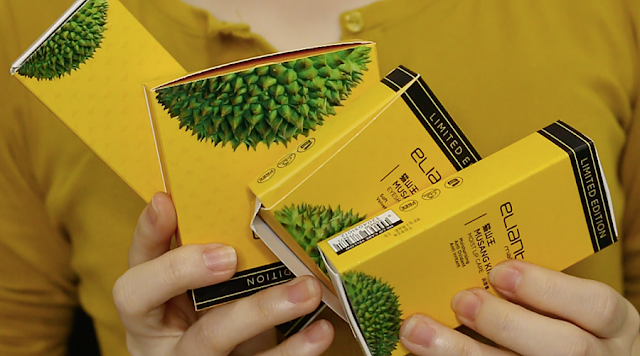 I'm sure, as Malaysians, we must have had a glimpse of thought or maybe even joke about having durian makeup. Since the aroma of this "King of all Fruits" is one that we all yearn for all year round. So Elianto, took it seriously and came up with possibly world's first Musang King Makeup Collection! This looks like a dupe for Fenty Beauty's Highlighter in Trophy Wife, the famous Rihanna's makeup brand that once took the beauty world onto a whole different level. 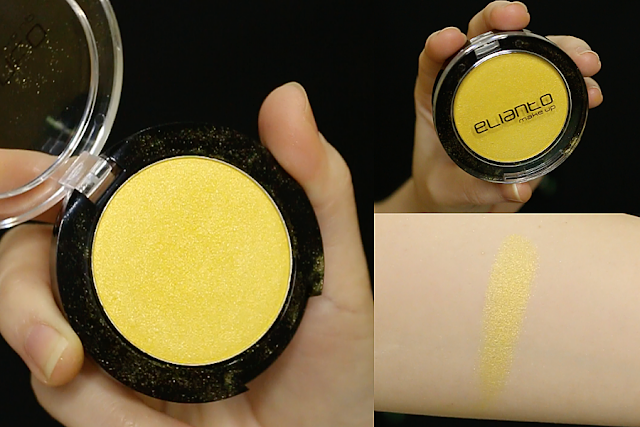 A quality product as the formula is smooth and creamy but it's too yellow for my skintone. I look absolutely ridiculous having this on my cheek bones. However, they look gorgeous on my eyelids as an eyeshadow. 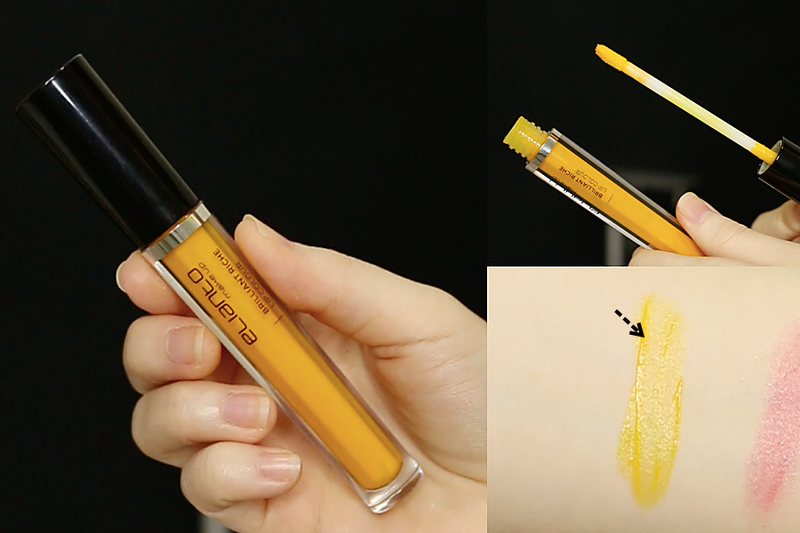 I do think that this might look pretty on those with darker skintone, they probably can pull this off as a highlighter better than I do. Scent wise, it has a little durian sweet smell if you get your nose extremely close to the pan. 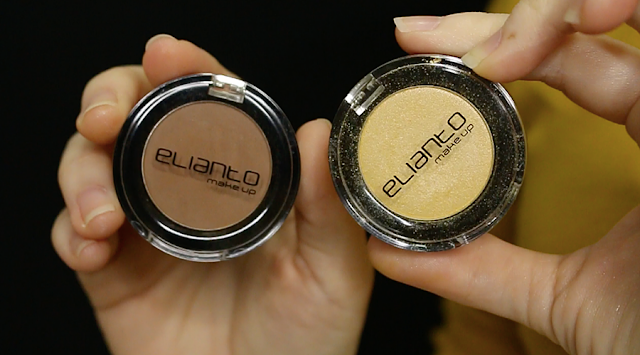 Formula seem to be rather similar to the highlighter, ultra soft and creamy to the touch. I really love how they feel and their shades are gorgeous. 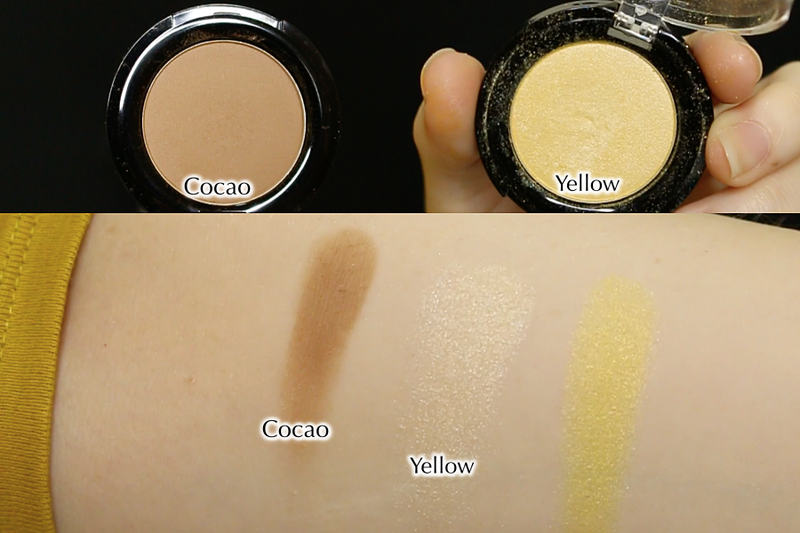 The shade Cocoa is a nice universal everyday brown shade while Yellow is really pretty as a highlight shade for me. Again, scent wise, very faint sweet durian smell. These lip balms are awesome. 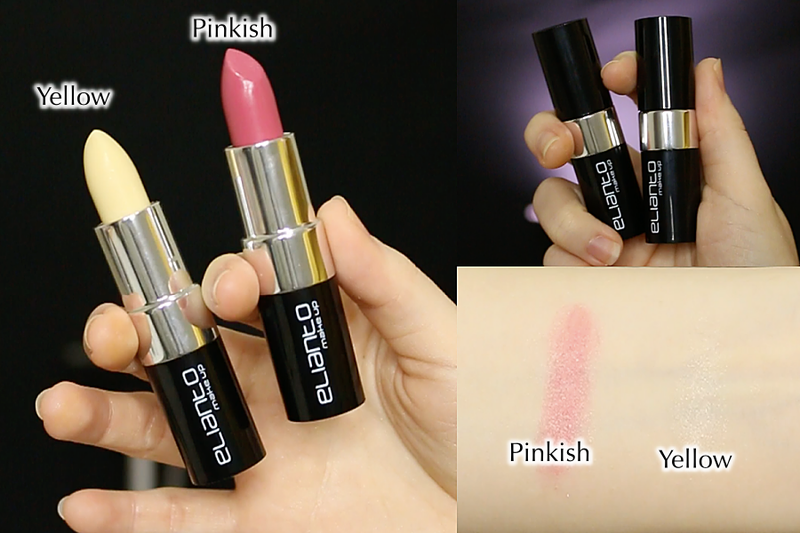 They are very moisturising, easy to use, and the pinkish shade gives out a really pretty hint of pink to my lips. Scent wise, it's not overwhelming. Almost to nothing actually, only when you are in the midst of applying them on your lips you can get a whiff of the sweet durian aroma. 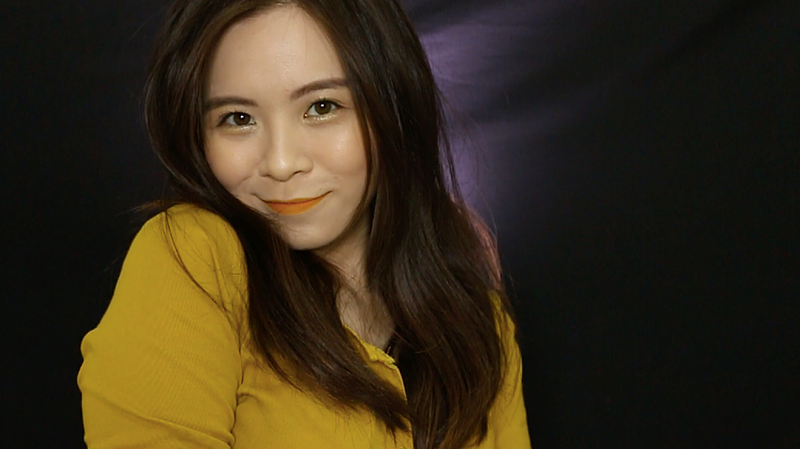 This lip colour has the strongest durian scent among all the products in the collection but it's still not strong enough in my opinion. Besides that, I don't like the formula of this lip colour at all. I've tried other Elianto Lip Colour before and this particular product is not up to my standard as Elianto have done much better lippies than this. It's patchy, not pigmented, and the colour is not pleasant on the lips, or at least not pleasant on my lips. I wouldn't recommend this at all, even the Yellow highlighter is much better than this lip colour. If you are interested, they are available from 20th April 2018 onwards at selected outlets and online. Do check out Elianto's website for more information!